In 1983 I acquired, as part of my Christmas present my dad’s old Pye stereo unit and two compilation albums, Supercharts ’83 volumes 1 and 2, and Roots Reggae and Reggae Rocks. On both of those albums the two tone band, The Beat, featured with their heavy ska influenced energetic pop songs which, to the uneducated ear of the 11 year old me, seemed great fun to dance and sing along too. What I didn’t realise, at that time, were the subjects I was being exposed to; with songs about racism, mental health and diversity beginning an education into a world outside the white middle class life in a leafy Oxfordshire village I was part of at that time. Although I had seen people from the West Indies in the media it was almost always in a negative light. The early 1980’s were a time of great political upheaval, a period of high unemployment and tinder box ghettoed inner cities erupting into violence and rioting. A situation shamelessly exploited by politicians and the media, scapegoating young black kids, resulting in the rise, and thinly veiled support for, far right organisations such as the National Front. Into this febrile atmosphere came a number of bands, influenced by the music brought to their cities by the first wave of immigrants from the Caribbean, that developed a music that spoke to and gave voice to a dissatisfied and disenfranchised youth. At the head of these were bands such as The Specials, The Selector and The Beat. Playing their version of the reggae and ska that they’d grew up with what set these bands apart was for the first time the music fans of Britain saw bands that had both black and white members, members who’d grown up together in the ghettos of the inner cities like Birmingham or Coventry. 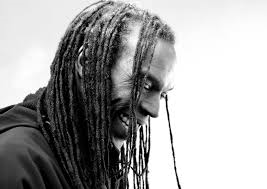 Ranking Roger, born Roger Charlery in Birmingham to St.Lucian parents in 1963, was the face and front man, along with Dave Wakeling, of The Beat. Roger was originally a drummer, playing with the Dum Dum Boys, before he began to join with The Beat on stage to ‘toast’ with the band, becoming a fully fledged member as the band began to record and release records. 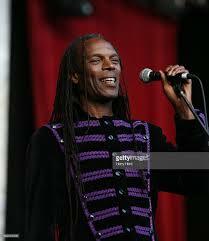 With his cool looks, sharp dressing and confident style Ranking Roger became, along with the likes of Lynval Golding and Neville Staples of The Specials and Pauline Black of The Selector, a positive role model for all youth, promoting black culture to a mass audience all the while fighting the prejudice and racism that was all too common in Thatcher’s Britain. The Beat recorded two more albums before splitting with Wakeling and Roger forming the band General Public releasing two albums before splitting and going their own ways. Roger, however, was in demand working with acts such as The Police, Pato Banton and The Specials before reforming The Beat, in 2005, with original member Everett Morton and Roger’s son Ranking Junior. The band performed at Glastonbury that year and gigged and released new music, written by Junior Ranking, in the following years. In 2018 Roger suffered a mini-stroke before announcing, in early 2019, that he was being treated for brain tumours and lung cancer with his death being announced on the 26th March. 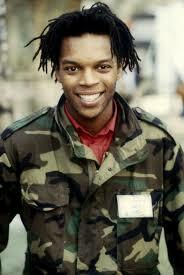 Ranking Roger leaves a legacy of being a charismatic performer, song writer and presence in the music world. However, he also stands out as an icon in black and West Indian culture, as a beacon of tolerance, integration and positivity giving not only a voice to his people through his music but introducing his people’s culture to those whose world he came into. And in doing so enriching all of our lives for the better whilst opening our eyes to subjects that had been previously brushed under the carpet.